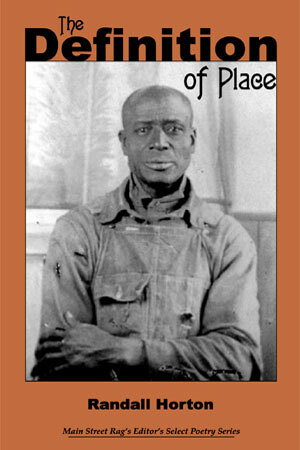 This title was selected for publication after finishing as runner-up in the 2006 Main Street Rag Poetry Book Award. 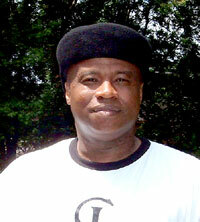 Randall Horton, originally from Birmingham, Alabama, resides in Albany, New York. He is a former editor of WarpLand: A Journal of Black Literature and Ideas (Fall 2005) and co-editor of Fingernails Across the Chalkboard (Gwendolyn Brooks Center for Black Literature and Creative Writing, 2006). He received his undergraduate education at both Howard University and The University of the District of Columbia (B.A. English). He has a MFA in Creative Writing with an emphasis in Poetry from Chicago State University. He is also a first year doctoral student at SUNY Albany. Randall received an Archie D. and Bertha H. Walker Foundation Summer Scholarship to attend Fine Arts Workcenter at Provincetown in 2005. He is also a Cave Canem fellow. People will find their way to Randall Horton’s poetry the way they find their way to church. Fifteen pages into The Definition of Place and you’ll stop and catch your breath. Horton’s poetry makes you want to trace your fingertips across the words. He writes like he is a contender for heavyweight poetry champion of the world. Read, praise and jab. Horton defines intimate places in the American epic of the Great Migration, opening the tender spaces that define these lives as real. He announces a life after work in motifs spanning the culinary and the pugilistic. Springing from an imagination that admires Joe Louis for bringing it all home, this is an honest and admirable beginning for a poet, a collection full of integrity. her long black hair soaking in the sun. her white calico dress on Sunday’s. hold him with the rain-black of your eyes. with double barrel eyes pointed at me. well be my blood, one drop at a time. for you to see the miracle. like the first time we kissed. 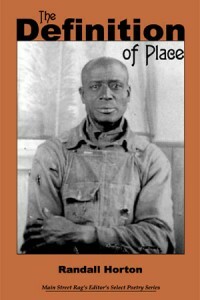 Be the first to review “The Definition of Place” Click here to cancel reply.